DAMIAN: Clive, you’ve had a remarkably long and prolific career during which you’ve accumulated almost 170 film and television credits. What can you tell us about your early days as a young actor? CLIVE: As a young actor, back in the day –one of Jerome’s favourite expressions… “back in the day Clive did you…”– I worked in various forms of theatre: theatre in education, repertory theatre, touring theatre, cabaret, stand up comedy, street theatre – all fantastic experiences and a lot of fun. I learned quite a lot, like if you’re not on a set stand in front of a wall or something that ensures you are the most interesting thing to look at, know what you’re going to say, try to be involved with projects that have something interesting to say (that’s where you meet the smartest most interesting people), have respect for the people listening to you – on and off set – and treasure every moment. DAMIAN: And you’ve worked in all sorts of genres but there’s two in particular that you seem to keep returning to: there’s the sort of historic costume epics such as The 13th Warrior (1999) and Game of Thrones (2011 – present) plus various Arthurian inspired works like King Arthur (2004), The Mists of Avalon (2007) and Merlin (2008-12). 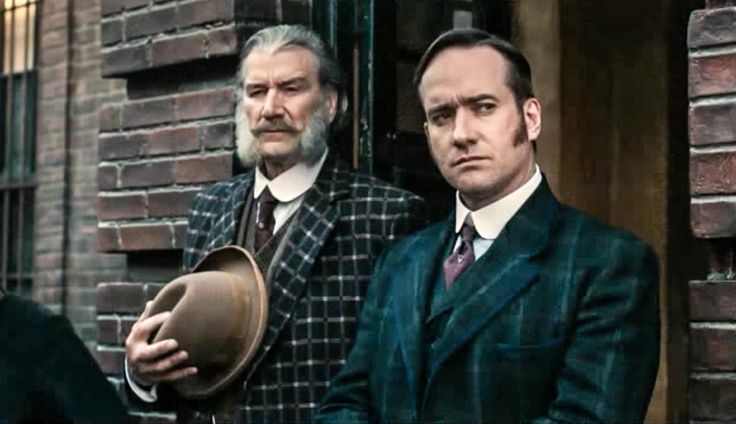 Secondly, in addition to Ripper Street, you’ve appeared in many Victorian period productions including various Dickens adaptations over the years and the two Guy Ritchie Sherlock Holmes films (2009/11) as Captain Tanner. Why do you think casting directors identify you with these sorts of roles? CLIVE: Not sure, other than my normal appearance being rather lumpy, hairy and disheveled (I don’t get any smart lawyer parts!) and the advantage of my size has given me authority or at least a certain presence in different ways for Abberline or Joe Gargery [below] et al. DAMIAN: Even with all this vast experience though, you must have been unprepared or surprised by the sheer epic scale of Game of Thrones? 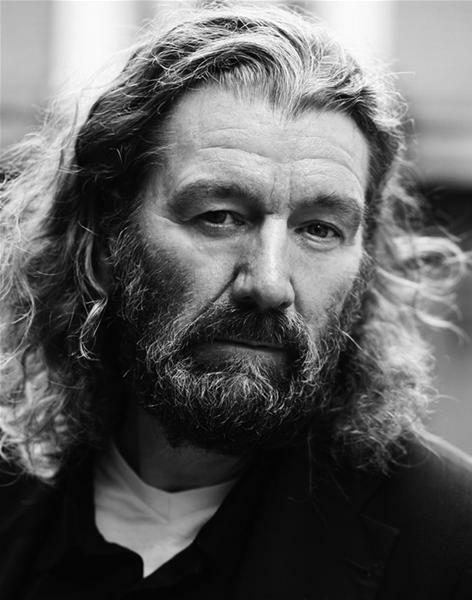 CLIVE: The job itself on set was a delight, working with the likes of Michelle Fairley, David Bradley, Tobias Menzies but in the end the set was just a larger and better financed version of any other work with a magnificent largely Irish/Scots crew. However, out in the wider world it’s quite unique. 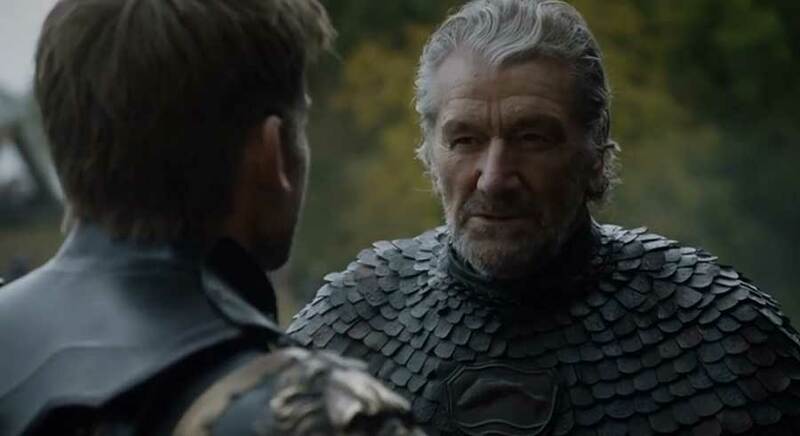 I worked in Sri Lanka last autumn and was surprised by the stir I caused amongst the large group of Sri Lankan supporting artists (I was only in 6 episodes three years apart) until it was explained to me by one of the runners who insisted on calling me Lord Blackfish that Game of Thrones was watched (mostly illegally) by 300 million people on the Indian sub continent. A nice wee gig! DAMIAN: Do you find it slightly frustrating, given the aforementioned amount of screen credits, that you probably get asked about Game of Thrones so much in interviews such as this? CLIVE: Not for a second. 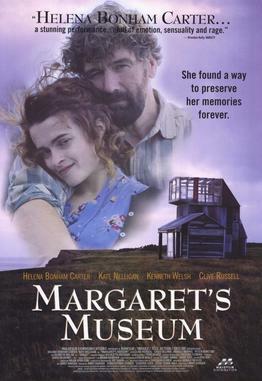 DAMIAN: Younger viewers who may only have seen you in Ripper Street or Game of Thrones may be surprised by the softer side you showed in the critically acclaimed 1995 film Margaret’s Museum alongside Helena Bonham Carter. Do you regret not having been offered more romantic roles like this in recent years? CLIVE: No, I really enjoyed doing that movie, our Big un Little Un relationship worked really well. Broadly I’m an enemy of regret, it s pointless. DAMIAN: In terms of gravitas and a certain authoritative air about you, your role as Abberline in Ripper Street often reminds me of Roger Allam’s character DI Thursday in Endeavour. When I’ve seen Roger on set, it seems this self-assurance and screen presence just comes naturally and almost effortlessly. Would you say this is also the case with yourself and are you aware of this aura that you seem to give off? CLIVE: Not that I’m aware, and I guess if I was aware it would not be an aura. I am aware, being the oldest person in nearly every room I’m in, that people listen to what I have to say as opposed to my experience of being a young actor being the opposite, which is warming but then I find life warming. 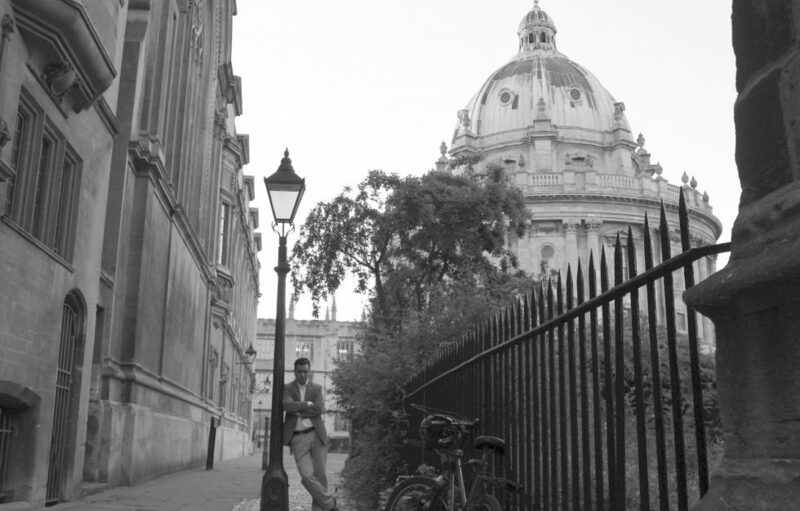 I did a final year film student film earlier in the year and I was fifty years older than anyone on set, it was a simply fantastic warming experience. DAMIAN: How did you come to be cast as Abberline? CLIVE: I met the casting director Kate Rhodes James at Teddington and with her help put myself on tape and bagged the gig. DAMIAN: There have obviously been many Ripper-inspired productions over the years and a number of actors cast in the role of Abberline – including the excellent 1988 miniseries with Michael Caine. However, as fantastic as Caine is in that, we never really forget that it is the superstar Caine we’re watching rather than the character he is supposed to be playing. You on the other hand, are in my opinion, the most accurate portrayal of Abberline on screen. Did you do any background reading or historical research to prepare for the role or was there enough information on how to play him from the scripts? CLIVE: We were given some background material to read about the Ripper murders, a social history of the times of policing in Victorian England and so on, but in the end the script is your bible and these were fine scripts written in a kind of Victorian language or idiom, each episode drawn from the great social issues of the time. In the end you look the other actor in the eyes and ‘play the play’ and what actors – what fun! 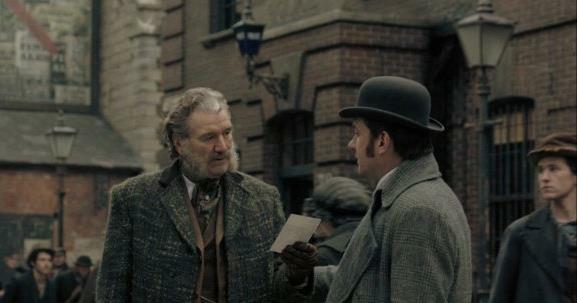 DAMIAN: This question is not so much levelled at the depiction of Abberline, but Ripper Street did take many liberties in portraying real people such as Fred Best and particularly Edmund Reid who viciously murders the man who was keeping his daughter captive in series three. Is there not a moral argument to be made against changing the perception and reputation of real characters from history? CLIVE: There most certainly is an argument and dramas which deal with contemporary personalities have to struggle with the conflict between drama and documented accuracy very carefully. However, drama is subjective and needs to have a strong voice. In Ripper we have conflicted policeman, attempting to work honourably and failing. That I would say is a somewhat eternal truth worth telling. 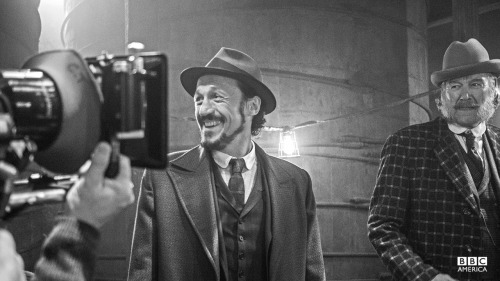 DAMIAN: Ripper Street depicts Abberline as cantankerous, ill-tempered and sarcastic but beneath all of this he seems to have a deep respect and even affection for Reid. How would you describe their relationship? CLIVE: I would say it is very much a father/son relationship, Abberline’s bewilderment and cynical amusement at Reid’s scientific approach to policing, his obvious affection and respect, humorous banter, all part of that but and I have to say Abberline is in a sense parented by Reid over the Ripper and talking him down from his desperation to solve the crimes and to lift the scars both men carried from their failure. It certainly mirrors my experience of parenting and my kids gently parent me all the time – patronizing b*stards! That part of Abberline with Matthew was a delight to play. DAMIAN: What are your most treasured memories as you look back on the last five years of Ripper Street? CLIVE: Dublin and its people who like to talk. The Irish crew. Working with terrific actors and directors on a really classy gig. DAMIAN: Clive, thank you very much indeed. 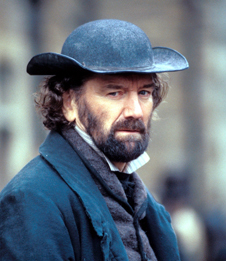 This entry was posted in Ripper Street and tagged Abberline Clive Russell, Chief Inspector Fred Abberline, Clive Russell, Damian Barcroft, Damian M. Barcroft, Damian Michael Barcroft, Ripper Street, Ripper Street 5 on July 16, 2017 by Damian Michael Barcroft.